Lester W. Larson was born July 17, 1928 on a farm near Ogilvie MN., the youngest of 5 siblings to Otto and Anna Larson. He graduated from Ogilvie High School in 1945. After graduation he continued to farm with his dad. Les married Betty J. Olson on March 29, 1952 at Lewis Lake Covenant Church. One year later he was drafted into the U.S. Army during the Korean War. The Army sent him to Fort Leonard Wood, MO for basic training and then he spent 18 months in England expanding the Stansted Airport. 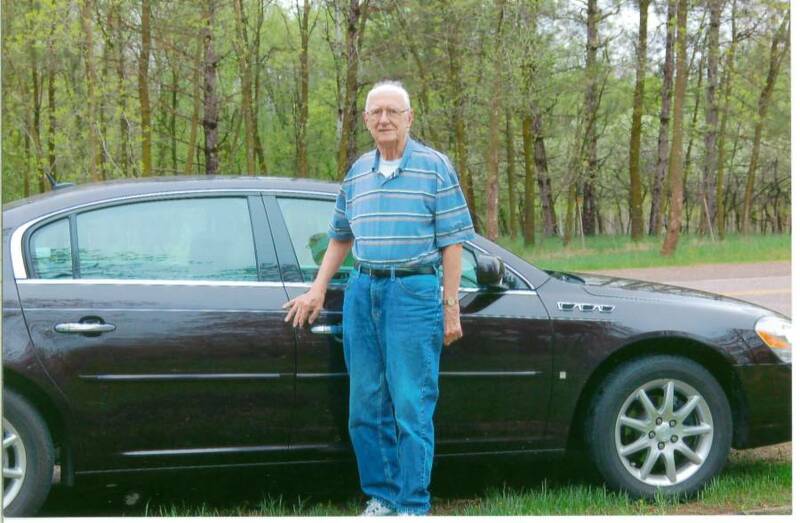 In 1955 he came back to MN and started working for a Buick dealer in NE Mpls. He continued working there for 37 years, retiring in 1992. Les and Betty raised their family in Fridley, MN. Brian, Brad and Lesley all graduated from Fridley High School and from Bethel University in Arden Hills. Les was a Little League Coach for years, and then spent countless hours watching his three children participate in sports. He was a wonderful and caring husband, father and grandfather.